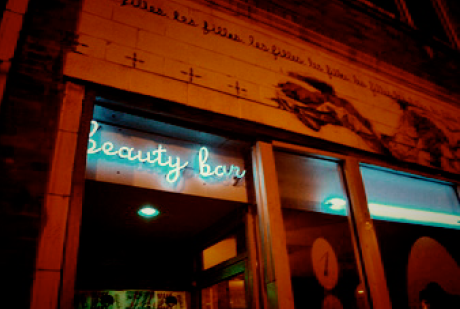 Beauty Bar joined forces with Bruce Finkleman and Pete Toalson from the legendary Empty Bottle to bring our hair “saloon” to the Windy City in March 2010. The interior of BBCHI came from an immaculate late sixties shop, Paris Salon of Beauty, in Springfield, New Jersey. With the help of local partners Mode Carpentry the space was transformed into a luxurious, swanky time capsule of big hair, pink nails and dry martinis.